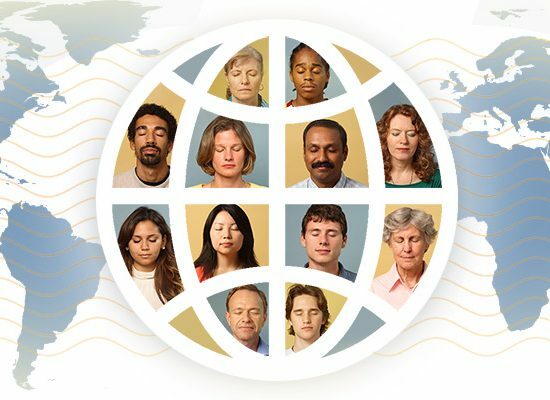 Can My TM Practice Help Create a More Peaceful World? 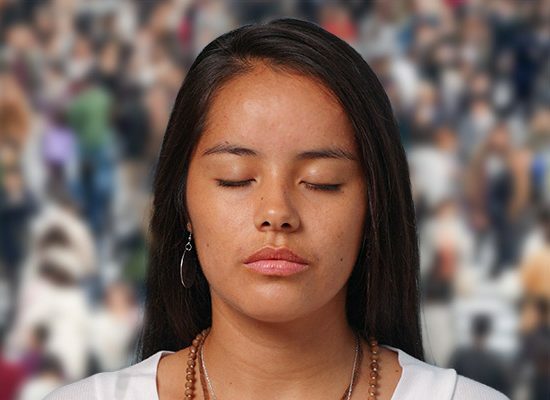 Does the inner peace we experience during our Transcendental Meditation® (TM®) practice have an impact on society, too? 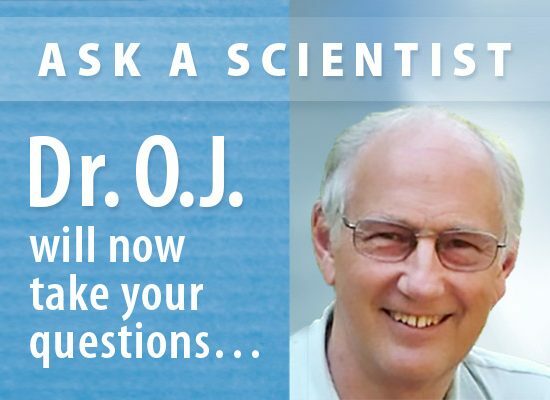 Yes, says renowned TM researcher Dr. David Orme-Johnson. In this exploration of the science behind a brain-based approach to peace, he explains how and why the TM and TM-Sidhi® programs have been shown to help reduce rates of crime, accidents, mortality, war, and terrorism. 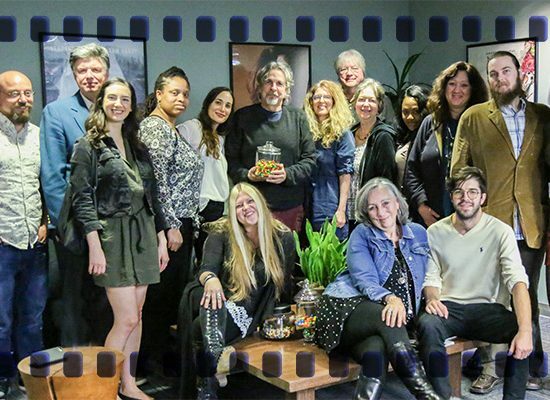 The writer-director—who won Academy Awards for Best Picture and Best Adapted Screenplay for Green Book—shared insights and laughs with MFA students as a guest lecturer for the David Lynch Screenwriting Program at Maharishi University of Management. Less “compassion fatigue.” Greater resilience. Reduced perceived stress. Increased emotional intelligence (EQ). These are just some of the remarkable results of three new studies on the TM technique in the workplace. 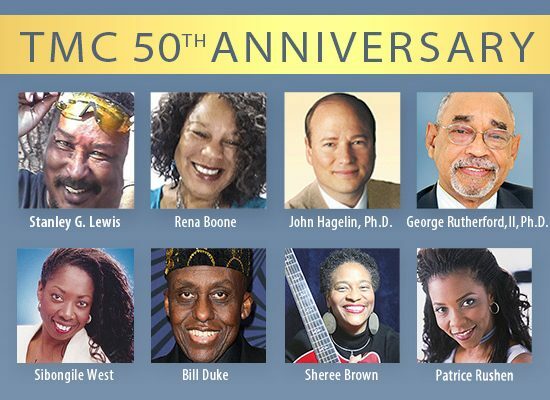 Enjoy inspiring talks, videos, and music by key figures in Transcendental Meditation Center (TMC), Inc., the organization founded in 1969 to teach in underserved U.S. communities and around the world. Pioneering TMC initiatives in education, rehabilitation, and research still bear fruit today. 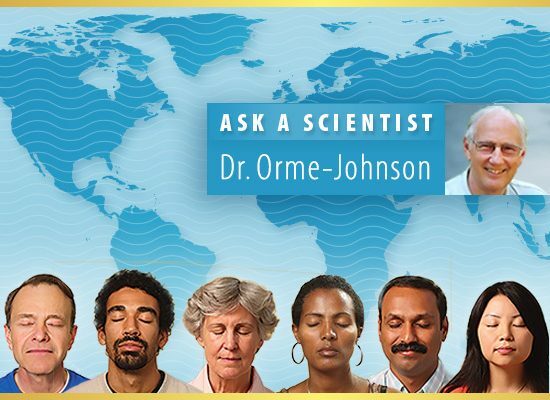 Q&A with renowned TM researcher Dr. David Orme-Johnson on a scientific, brain-based approach to peace. He explains how the TM and TM-Sidhi programs have been shown to help reduce rates of crime, accidents, mortality, war, and terrorism. 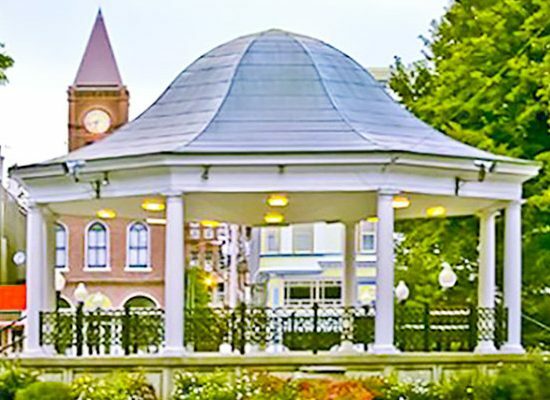 What happens in a community with 3,000 meditators? Find out in this delightful video. “It’s a deep search or even better, a rediscovery. 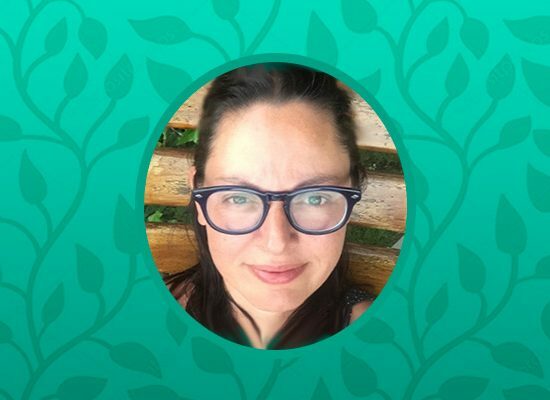 It really seems like things have been there a long time waiting for me to ‘come back’!” writes Maria Di Donna about her TM practice. 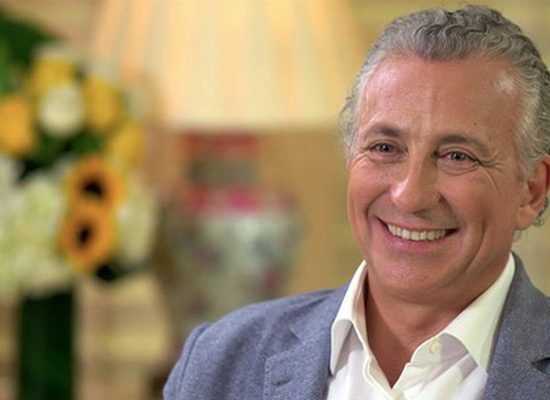 Meet the head of the international Transcendental Meditation® (TM®) organizations, Tony Nader, M.D., Ph.D., M.A.R.R., a medical doctor, MIT- and Harvard-trained neuroscientist, and Vedic scholar. A greatest-hits list of why twice-daily TM practice is important, and how to fit it into your schedule on a regular basis, to maximize your benefits. Share your go-to tips in the Comments section. 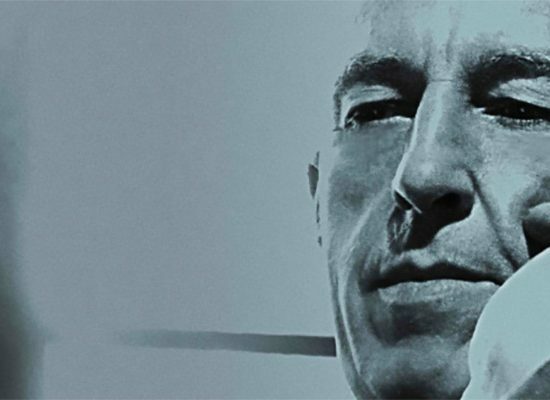 “I didn’t fully understand the 11th step until I started TM,” said Bill Wilson, legendary co-founder of Alcoholics Anonymous, when he learned the TM technique. 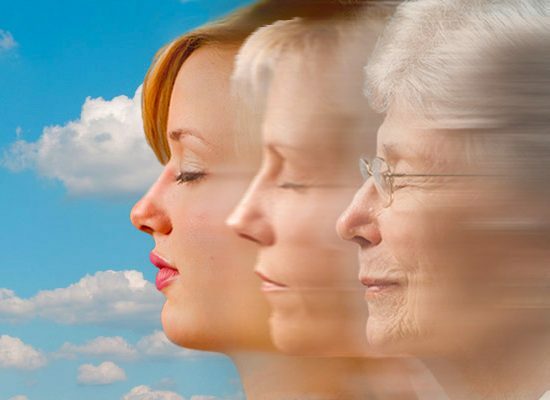 Renowned cardiologist and expert in integrative medicine Dr. Robert Schneider distills 10 ancient rejuvenation practices, confirmed by modern science, to help us live longer, healthier, more self-actualized lives. 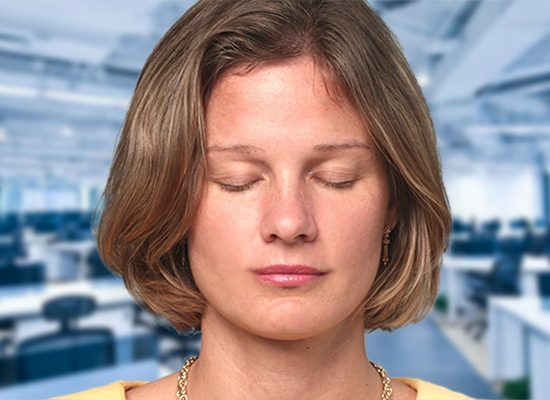 It’s easy to find a spot to close our eyes for TM at home, but what about when we’re away all day or traveling? Here are 20 tried-and-true options, with more tips in the Comments. Share yours too! 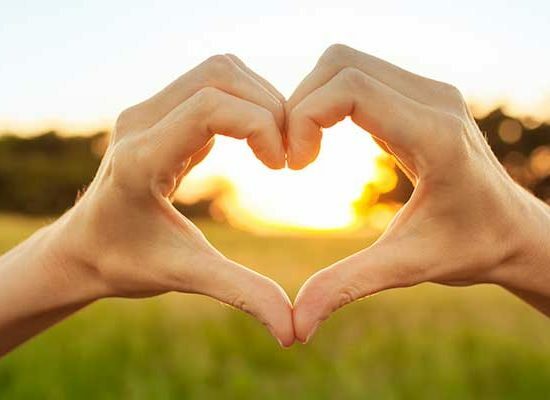 With nearly half of Americans suffering from some form of heart disease (TIME, Jan. 31, 2019), the compelling research on heart health and risk factors by Robert H. Schneider, M.D., F.A.C.C., funded by the National Institutes of Health, suggests a viable solution. How he does more writing, more performing, more exercise without strain. “I can now do whatever I want. 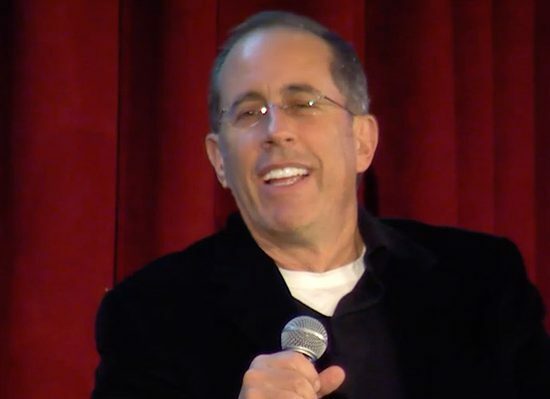 Whatever I want!” says Seinfeld. 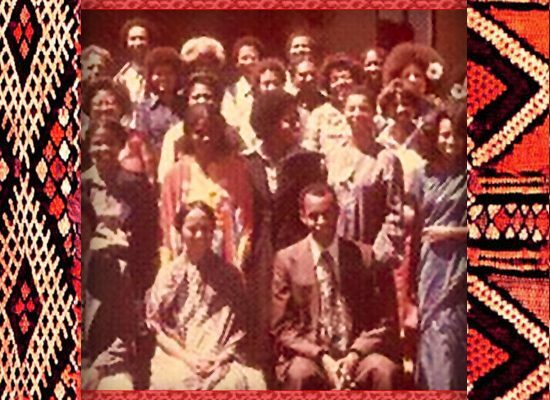 In 1969 a group of African American TM teachers established a new organization to bring the TM program to their communities, called Transcendental Meditation Center (TMC), Inc. Their pioneering initiatives laid the groundwork for successes in education, health, and rehabilitation today. Here is their remarkable story. Ready for more? 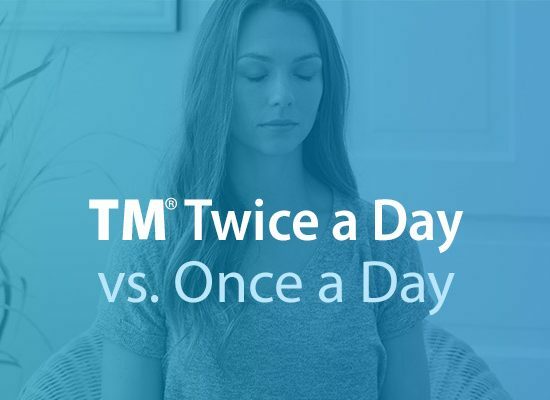 Regular TM® practice allows us to transcend the thinking process, while Advanced Techniques of the TM program culture the experience of more subtle levels of thought, enhancing our actions and fulfillment in life. 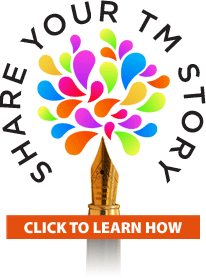 New York Times Instant Bestseller Strength in Stillness Takes Media by Storm! 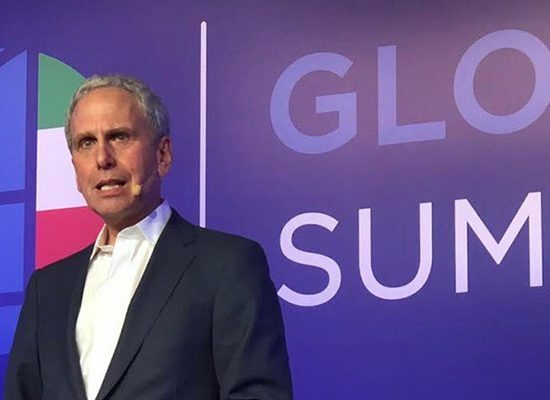 Bob Roth’s Strength in Stillness: The Power of Transcendental Meditation rocketed to the New York Times and Amazon Bestseller lists within two weeks! 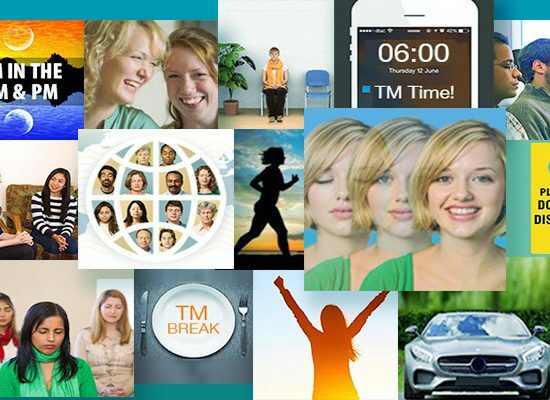 In replays and articles, see how this new TM book is captivating the media. 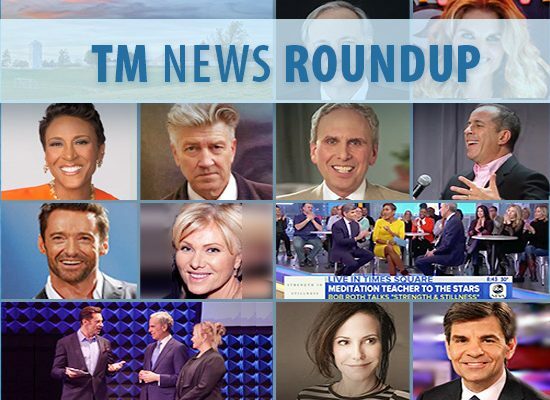 From WSJ to Parade, from People to Comedians in Cars Getting Coffee, the power of the TM technique to change lives is a popular topic in the media. The front page of the Tribune offers hopeful news: The University of Chicago Crime Lab has joined forces with the David Lynch FoundationSM to transform lives and research the effects of the TM-based “Quiet Time” program in at-risk schools. 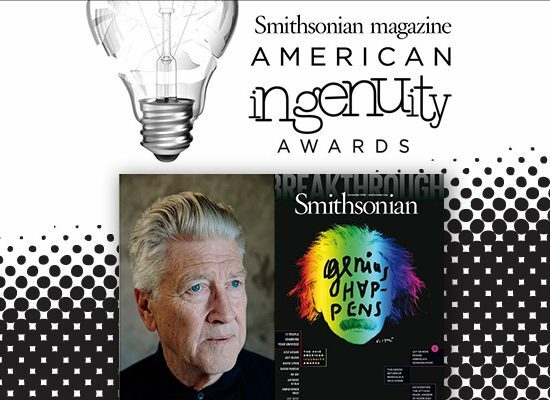 The director received the American Ingenuity Award for reducing stress and violence in under-served schools through the David Lynch FoundationSM, which has been improving children’s lives with the TM-based “Quiet Time” program since 2005. Scientists discover brainwave signature of effort-free practice. 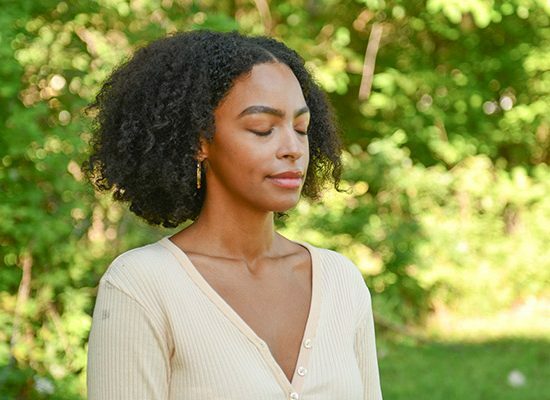 A study in Brain and Cognition reveals the difference between TM® and other meditative practices—effortlessness is the key. Spring Global TM Group Meditations and Celebrations a Great Success! © 2019. Maharishi Foundation USA, a non-profit educational organization. All rights reserved. 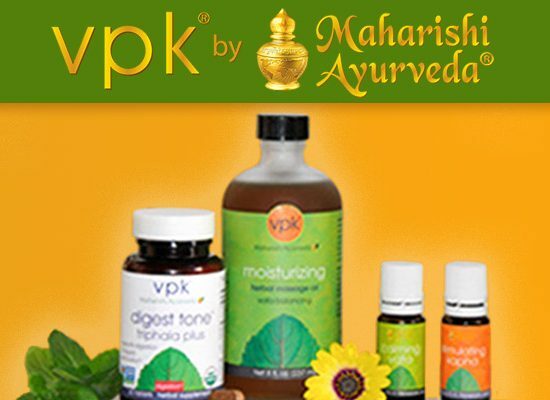 The following are protected trademarks and are used in the United States under license or with permission: Transcendental Meditation®, TM®, TM-Sidhi®, Maharishi®, Maharishi AyurVeda®, Maharishi University of Management®, Yogic Flying®, Maharishi Vastu®, Fortune-Creating®, David Lynch Foundation, Maharishi Light Technology with Gems, Maharishi Vedic Vibration Technology, Maharishi Vedic Approach to Health, Consciousness-Based, and Maharishi Yoga. Please refer to Conditions of Use for further legal details concerning copyright and trademark protection. Your continued use of this website constitutes acceptance of these Conditions of Use. 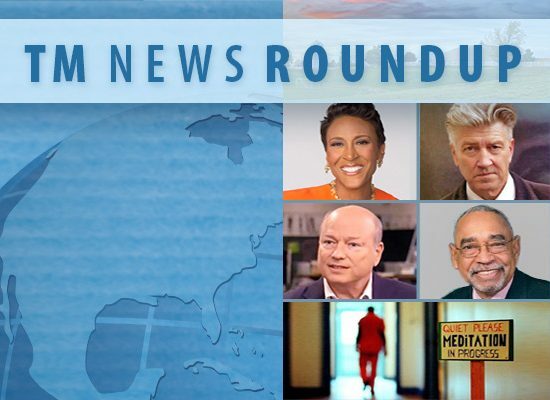 Thank you for subscribing to Enjoy TM News! Each month you will receive an email announcing the new issue. Meanwhile, feel free to browse through our LATEST or POPULAR tabs on the homepage. Enjoy!